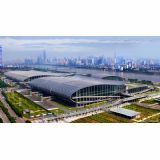 Guangzhou Julang Exhibition Design Co., Ltd. started organizing exhibition since 1996. With its good experience and rich customer resource, Julang held the first fastener exhibition in China and win a good glory in industry. The exhibition was once the best industry platform for industry companies to expand domestic market. During 2008 to 2011, bogus news from small companies confused the public, let the customers misunderstand and distrust Julang company. Meanwhile, Julang transferred the major project to other fields, which caused very bad effect to fastener exhibition. Guangzhou Julang Exhibition Co., Ltd.